MARRS Provides services on Infrastructure Installations & Configurations, Project Management & Application Development experience in B2B integrations, EAI, Client–server and Web-based application development on Unix/Linux and Windows environments. Assessment Services help you determine the optimal scope and focus for your future investments. Our assessments help you build the bridge between your longer-term strategies and tactical execution. 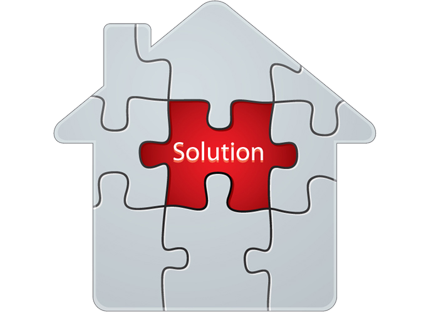 Implementation Services provide you efficient solutions and implementations based on our proven best practices. Leverage our global technical expertise to effectively realize your goals and gain a faster Return on Investment (ROI). Productivity Services enable you to increase your success with our industry-leading solutions. Ongoing customizable maintenance, management, upgrade and support services provide you business insight, help minimize your risks and ensure your mission-critical investments are performing at their peak. WebMethod Integration Services Marrs is experienced in webMethods Integration Platform which is a proven, pre-integrated software suite that enables enterprises to rapidly integrate systems, services, devices, processes, business partners and data to provide new business value and improve business performance. Services in B2B integrations, Enterprise Applications Integrations using SOA & OOPs, EDI, Client–server and Web-based application development in UNIX and Windows environment. Proven experience in webMethods Toolset that includes Integration Server, Enterprise Server, Developer, Designer, BPM, BAM, JMS, Broker, Modeler, Monitor, Manager, Trading Networks, Various Enterprise & B2B Adapters, Upgrade utility and Complete Integration Platform 6.0.1/6.1/6.5/7.0/7.1.x/8.x/9.x. Capabilities in planning, logical and physical application design, integration, and implementation of complex systems that are applied into the formulation of integration solutions using webMethods infrastructure. Marrs can provide services for webMethods Administration, activities include evaluating deployment alternatives, installing, configuring, applying patches, upgrading Integration Server instances identifying and resolving/troubleshooting issues. Marrs has proven abilities in Enterprise Application Integration & B2B Integration projects, Complete Development Life Cycle, supporting many physically separate environments including: Development, QA Testing, User Acceptance Testing, Performance Testing, Enterprise Testing, Training, Production, and Disaster Recovery. Marrs offers a complete staffing solution for your critical projects. We are here tobridgethe gap in demand for professionals with necessary technical skills. Our team of professionals are committed to deliver high standard services to our clients. Our dedicated team of professionals understand the needs and are thorough with the recruitment practices, therefore ensuring not only the duties for a job to be filled but as well abide by the rules and responsibilities that need to be followed. 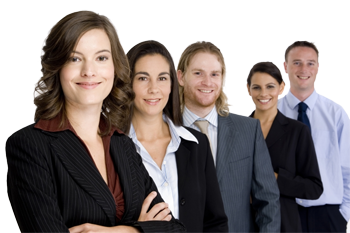 The expert team takes care of various aspects to ensure thatthe selected professionals will work and sustain a long lasting and productive career in the organisation. As a full-service IT consulting company, we provide resources from junior level to senior level with a broad range of technical skills. Marrs' Professional Business Intelligence & Analytics solutions shall assist you in transforming into a dynamic enterprise through actionable intelligence. From consulting, articulation, development, to deployment and support, Marrs can architect and implement BI systems, employing solution accelerators, process frameworks and jumpstart analytical kits, for any part of your business process. Our experience can assist you with superior SAP BI Services by providing an in-depth analysis to save your organization the challenges of reworking saving both time and money. Our expertise lies in Organization BI reporting strategy, Dashboarding, Visualizations and Mobility of your Reporting Content, BI Transformation of SAP BW and Legacy Data for Reporting, BI functional integration to your portal along with Training and Education. With proper QA Automation our clients can observe consistent high quality and close to no bugs found in final stages of release testing and production. Professionals at Marrs have the expertise of testing apps on a variety of devices. We have the capability of testing apps native, web and hybrid. Our mobile testers are equipped with not just functional testing but also usability testing experience.